Are you enjoying the sunny days? 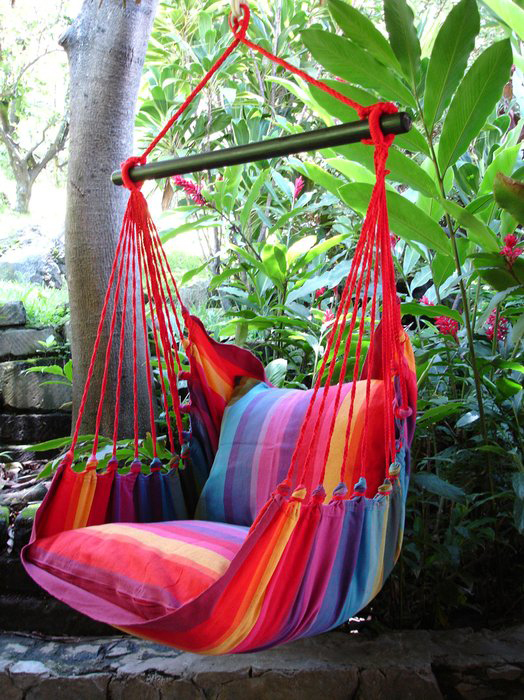 I have made you an amazing collection of hanging chairs for ultimate relaxation in the backyard in summer. The temperatures are getting higher and higher and the life becomes every day more stressful and exhausting. These chairs are the perfect place to kick off your shoes and relax at the end of your day. If you are a book lover, then you can spend your free time reading in the yard. You can even fall asleep and you won’t notice it, because they are very comfortable and relaxing. I love drinking my first coffee on the balcony, cause I don’t have a yard. 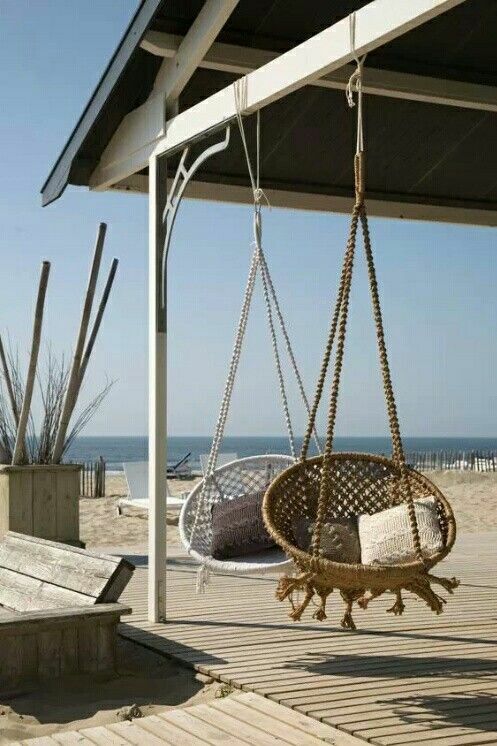 Those who are not so lucky to have a big house with a spacious yard, can buy hanging chairs for their balconies. 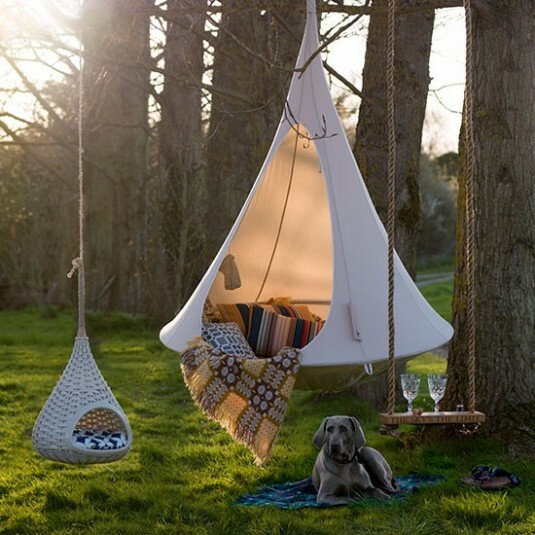 Nowadays, you can find a wide specter of hanging chairs made of plastic, wood, steel, rope, etc. If you are thinking of buying one that is made of wood or steel, keep in mind to buy some pillows too. Let’s take a look at the hanging chairs that I have selected for you! Enjoy! These amazing chairs are made of wood and rope. They will fit perfectly in any yard. So, if you want to spend your free time in the yard, then the chairs are for you. 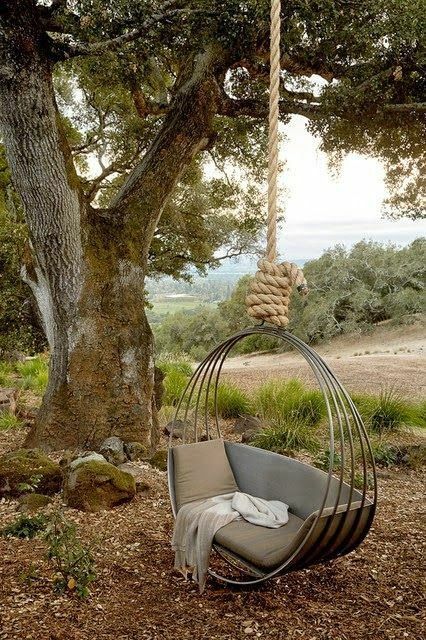 If you were looking for an interesting and stunning hanging chair design that will make your yard look like a paradise, then take a look at this one below. Although this chair is made of steel, it is very comfortable. 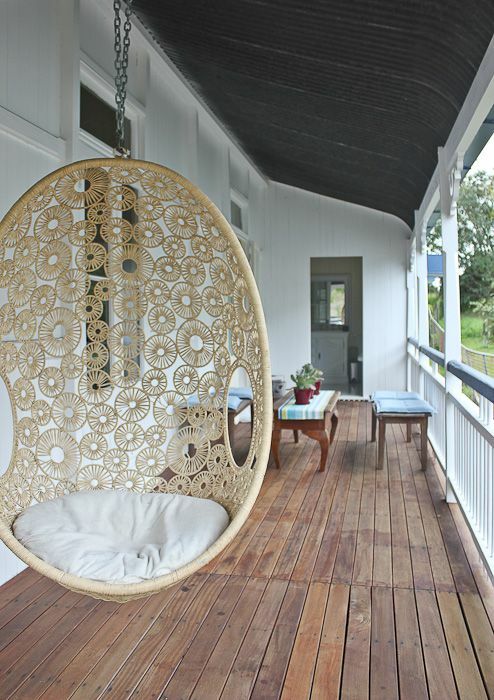 If you were looking for a hanging chair for your balcony, then take a look at this unique design below. This chair is made of wood and can be placed wherever you want. It can look great in every room in your house, balcony or yard. 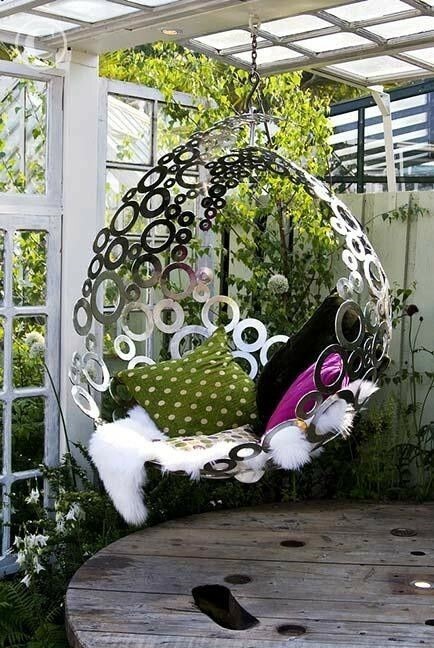 If you want to make your yard fun and interesting place, then you should think about placing a colorful hanging chair. This comfortable chair below, made of cotton and sponge, will give you unforgettable moments. 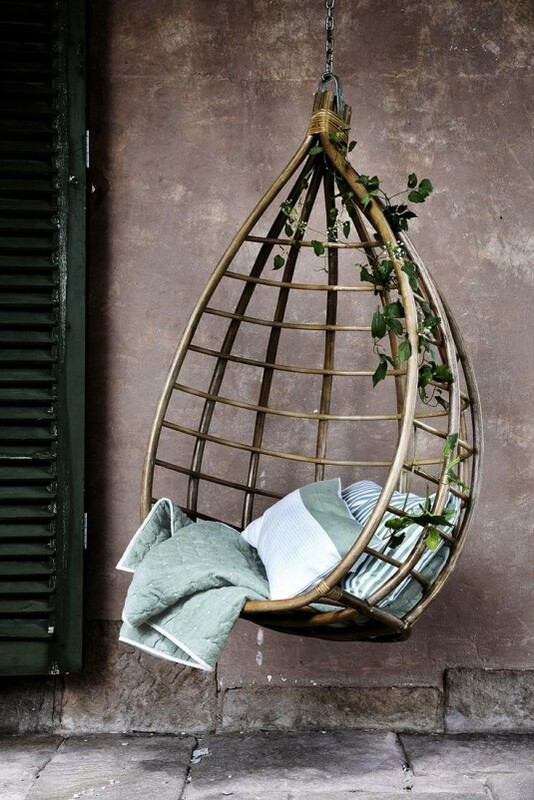 I really like this wooden hanging chair, embellished with plants. You can place it in or out the house. If you are balcony is spacious, then you can place it there too. If you were searching for something more sophisticated and modern, then take a look at the chair below. 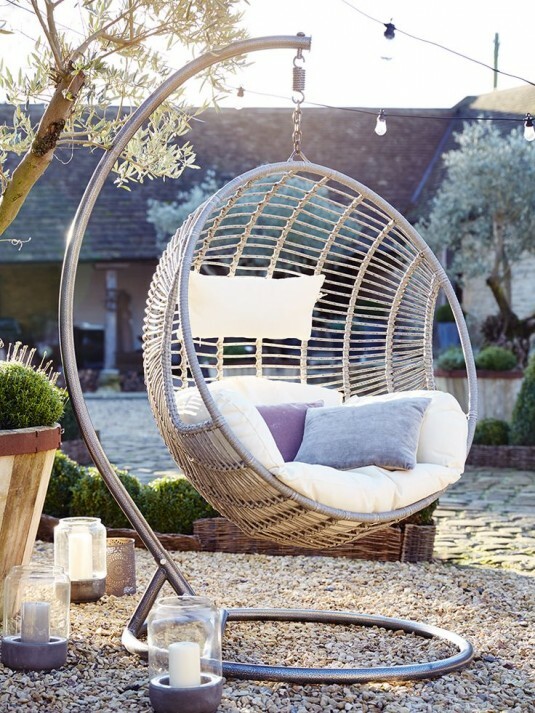 This silver and amazing chair is perfect for the summer days and will fit in every yard. If you are searching for a peaceful place, where you can think about life, then take a look at the picture below. I just love this place! The chair looks very comfy and cute for every yard. 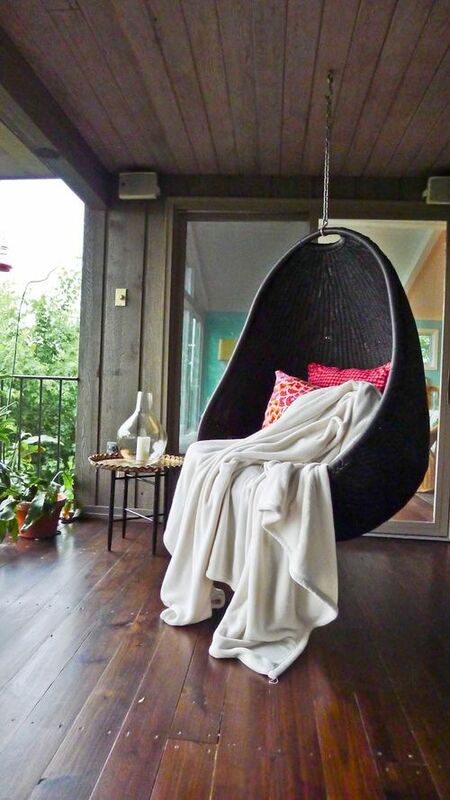 You can place an astonishing black hanging chair, like this below, with pink pillows and white blanket on your balcony and read your books or drink your morning coffee. You can’t even fully enjoy in the most beautiful garden, if there isn’t a place to sit. 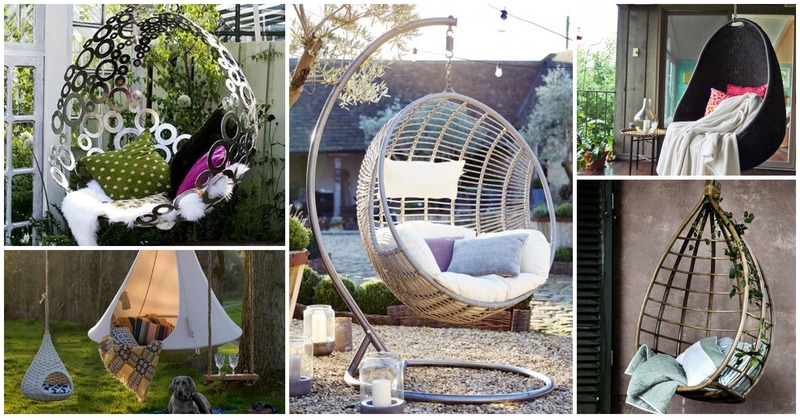 Turn your garden in a space where you can lay for hours and enjoy the beautiful days and nights with hanging chairs like these below.